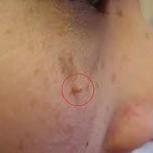 Skin tags which are small pieces of hanging skin which can be found in certain parts of the body including on the eyelid, around the eyes, or anywhere from the face, underarms, neck, under the breasts, or even in the groin. 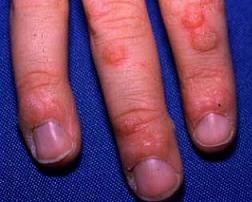 These are already a common occurrence among people alongside warts. Though they do not pose great harm to the person, the sight of these tags can be unpleasant especially when you can’t hide them which is why a lot of people have been looking for ways on how to remove them. Different people are actually claiming that there are a lot of home remedies and do-it-yourself methods on how you can get rid of these and among the natural ways is through the use of your dental products which you can find right at your home. What could that be? Well, it’s none other than your dental floss. So, how to remove skin tags with dental floss you ask? The answer – just read it below. Tie up the skin tag at the base with the dental floss. The dental floss should be sterile and clean. 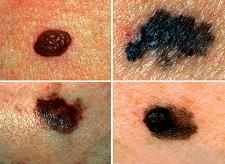 Make sure that it’s tied tightly to cut the blood supply of the skin tag. Cut the excess floss so that it wouldn’t be too visible, and wait for the tag to fall off within one week. After the tag has fallen off, apply an antibacterial med on the wound to prevent infection. This is how to remove skin tags with dental floss. The steps are quite easy, right? However, there are some instances where this procedure is contraindicated. One of which is when a person has blood coagulation problems. If you want a more safe medical procedure, it always advised to seek the help of the doctors, instead.